Informazione prodotto "HAIX Fire Eagle High"
Consisting of 3 layers in CROSSTECH® laminate technology, waterproof and breathable. Abrasion-proof lining fabric for optimised climate comfort at all times of the year, and especially when frequently moving between indoors and outdoors. Excellent penetration protection against blood and other bodily fl uids (thus preventing ingress of viruses and bacteria). Enhanced protection against chemicals. TPU cap with special profi le for longer service life. 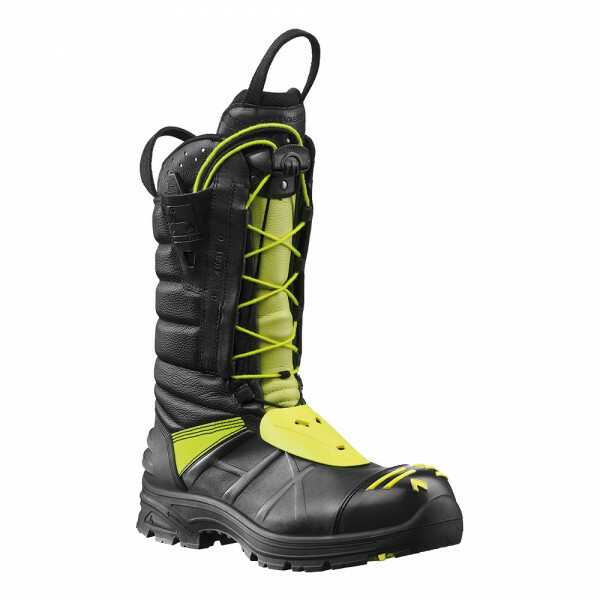 Patented Two Zone Lacing System for quick and optimal lacing adjustment and correct fi t of the boot. Added safety thanks to integrated instep protection.